When am I ever going to use math? This is a question that students have been asking math teachers for years. Although answers such as "It will increase your problem solving skills" or "You'll need it in college" may be true, such responses fail to motivate most students. Wouldn't you like to show students how the math they are learning will benefit them on a personal level? Now you can. 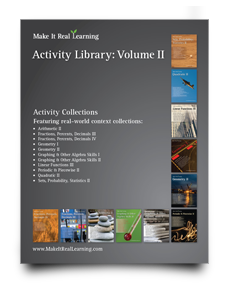 Make It Real Learning workbooks each concentrate answering the question, "When am I ever going to use this?" 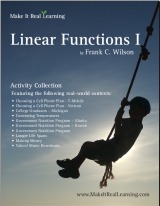 Each workbook also has a mathematical theme, such as "linear functions", so that you can find materials on the appropriate level for your students. The workbooks contain activities or problem situations taken from real-life, with real data. Some examples of the situations are: cell phone plans, autism, population growth, cooking, borrowing money, credit cards, life spans, music downloads, etc. etc. As students work through the problems, they can use the math skills and concepts they have learned in their math curriculum (such as the concept of average or graphing), and apply those to a situation from real-life. 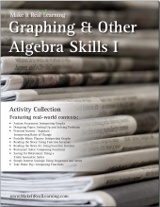 Each activity-lesson in the book contains several questions about the situation, starting with basics and going into more in-depth evaluations, and should be adequate for one-two complete class periods. The problems are matched to the learning objectives of the National Council of Teachers of Mathematics (NCTM) and in the Common Core Standards. This means that the concepts and skills required to complete the problems ARE found in typical middle and high school mathematics curriculum. You can simply replace some of the problems in your textbook with these real-life scenarios. These activities are excellent to be used in a small-group setting. Typically, the activities contain challenging parts and therefore allow students to practice real problem solving - not just apply knowledge from textbook examples to other almost identical problems. Gifted students can enjoy the challenge of solving all the questions on their own. These books are suitable for various grade levels - please see the list below. 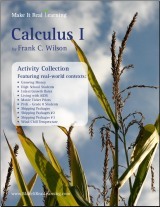 Many of them suit best high school math such as algebra 1, 2, or precalculus, but several books also are perfect for earlier grade levels. All books include complete solutions to all activities and problems. 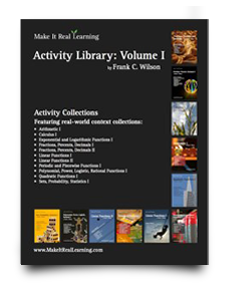 Please note that Make It Real Learning workbooks do not contain the instruction or explanations of the concepts. 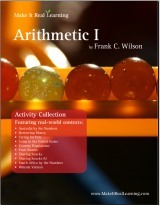 The activity libraries allow you to get 11 workbooks from the series for a discounted price of $39.99! Besides the workbooks mentioned above, Make It Real Learning also has a series of smaller workbooks called States by the Numbers. This series contains 50 workbooks — one for each state in the United States. The data in each workbook is taken directly from the Census Bureau's 2008 Statistical Abstract of the United States. 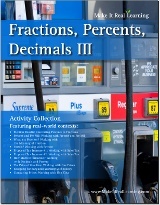 These workbooks offer a real-data math adventure across the United States! You can use the workbook for your state along with other resources as a unit study about your own state, or your other favorite states. 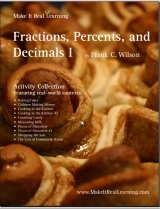 Meanwhile the students will also learn and practice place values, rounding, estimation, fractions and percentages. There are 50 workbooks in the series — one for each state. 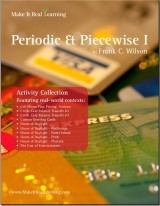 Each workbook includes basic instruction and 80 practice problems. The problems can be used on grades 3-7; probably the best fit is for grades 4-6. Additionally, the “What's the big idea?” pages give learners the opportunity to reflect on the things they've learned. There are multiple ways to use the activities in a teaching environment. Since the activities teach both mathematics and social studies, many teachers and families enjoy using the workbooks to reinforce mathematics across the curriculum. Although the activities may be effectively used in a formal teaching setting, they are designed specifically for the independent learner. 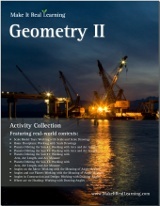 Each PDF for this series of books is enabled for annotation. This means that if you prefer, your student can fill it in on the computer, using the typewriter and drawing tools in Acrobat Reader version 9 or greater. 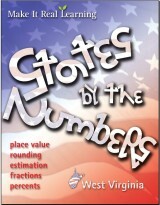 Read more about States by the Numbers series workbooks here.